This sectional collection is available in a multitude of colors in a smooth microfiber. 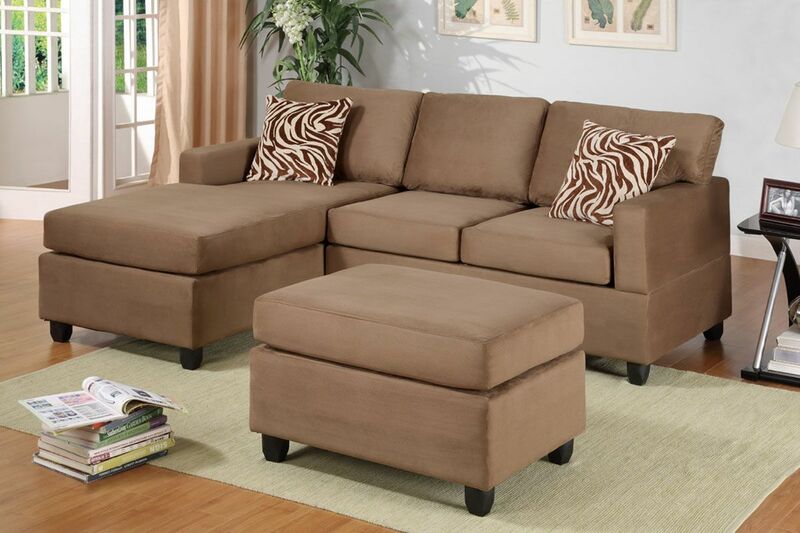 Its versatility and style is great for den and standard living room spaces. Accented with brown and white zebra print pillow, This collection also features a classic plush cocktail ottoman. Enjoy the experience of modern decor with a practical and functional composition.